Vertibraid is the specialist high performance mainline super braid that offers ultimate control, sensitivity and immediate bite detection at extreme distances. Designed to sink quickly, the round profile and Teflon coating deliver minimum drag and maximum abrasion resistance. 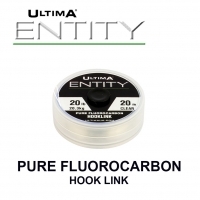 The Teflon coating also significantly adds to the smooth and easy retrieval of this line from distance. 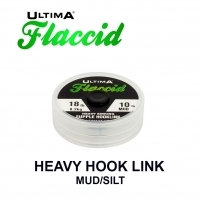 Super supple and produced in a low vis weed green camouflage fleck, Vertibraid hugs the bottom of the lake bed for maximum concealment. Long term tested and developedby Ultima consultants, including Frank Warwick, Jim Shelly and Alan Taylor at Rainbow. Vertibraid must be considered the ultimate sinking carp braid. "Vertibraid is low diameter and supple, and had a round profile for minimal drag. The Teflon coating improves the abrasion resistance as well. 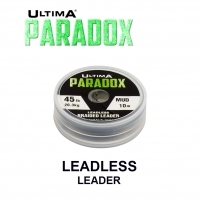 Ultima Vertibraid gives me total confidence and I use it for all my big water fishing now. It always delivers so reliably"
Vertibraid is the specialist high performance, Dynaflex® PE based sinking mainline braid which offers superb sensitivity and outstanding bite detection over extreme distances. Carefully designed to sink reliably, the round profile and Teflon® coating deliver minimum drag and maximum abrasion resistance. 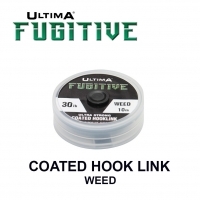 The Teflon® coating also significantly adds to the smooth retrieval capability of this line. Continually tested by Alan Taylor at Rainbow with superb results, Vertibraid must be the first choice for sinking carp braid.